Gwen's star box is gorgeous! 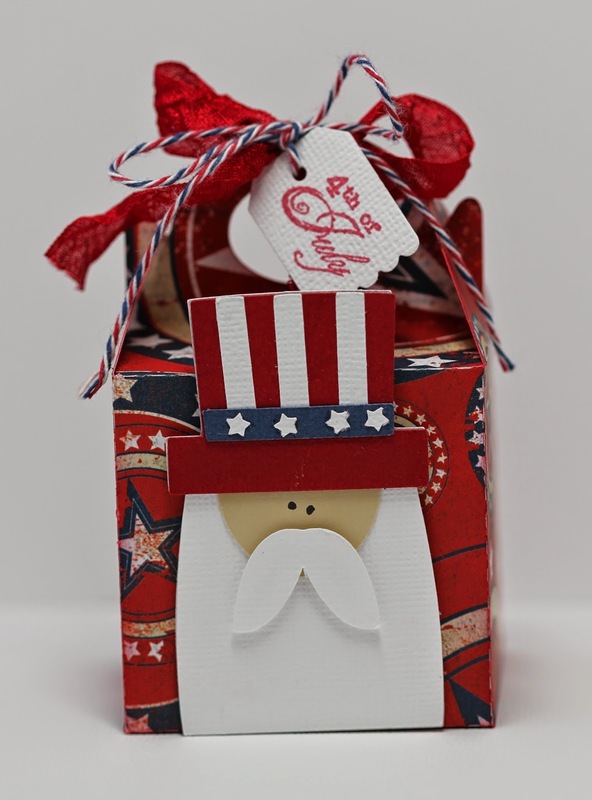 I Love the glittery red stars and the way she wrapped her twine! Kate's card is awesome! I love what she did with the pattern Blocks! Her banner is so pretty! Believe in good things to come . . .
Wow I can't believe it is almost July!! Where did the time go? I remember when I was a kid summer lasted a lot longer. 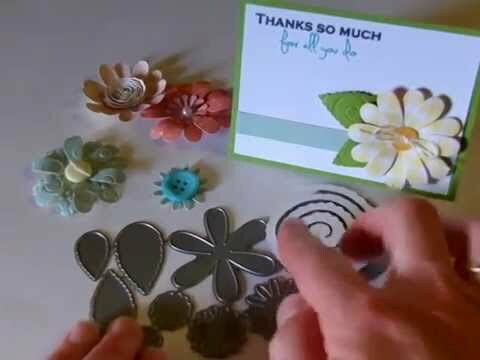 I have so much going on this summer before I know it it will be over:( Hi everyone, this is Gwen from This and That by Gwen with a quick and easy project for you. For my project today I used two different files from the Silhouette Store, the no glue gable box by LW and the cute little Sam by Pebbles in my Pocket. 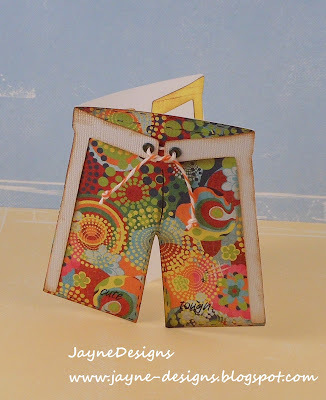 The tag was made with the Tiny Tags Metal Dies and stamped with the Tiny Tags 3 stamp set. I tied it on with Scarlet Red crinkle ribbon and Twine, all these products are from My Craft Spot. 50% off Scrapping Life Bundle! Only $24.49 with FREE shipping - This amazing deal will only happen once! 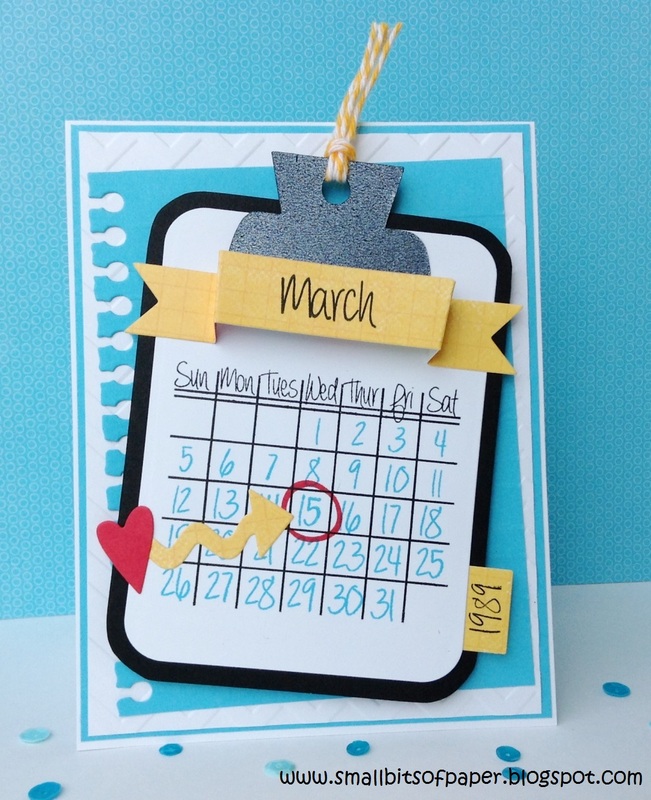 The Scrapping Life set is just the right size to fit your Project Life scrapbook, but it's also perfect for card making. The calendar is awesome too! 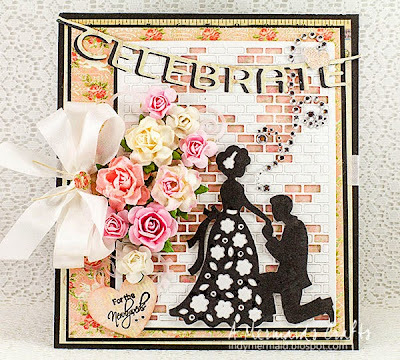 There are so many fun sentiments in this set! 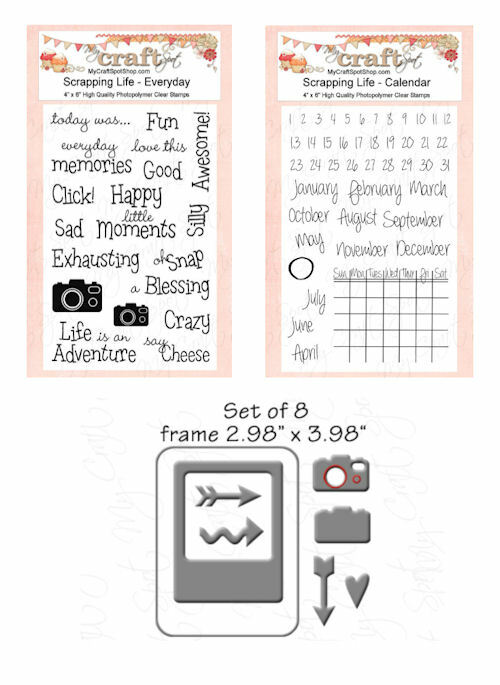 Click HERE for more pictures of Gwen's camera mini album and even more projects using the Scrapping Life Bundle. 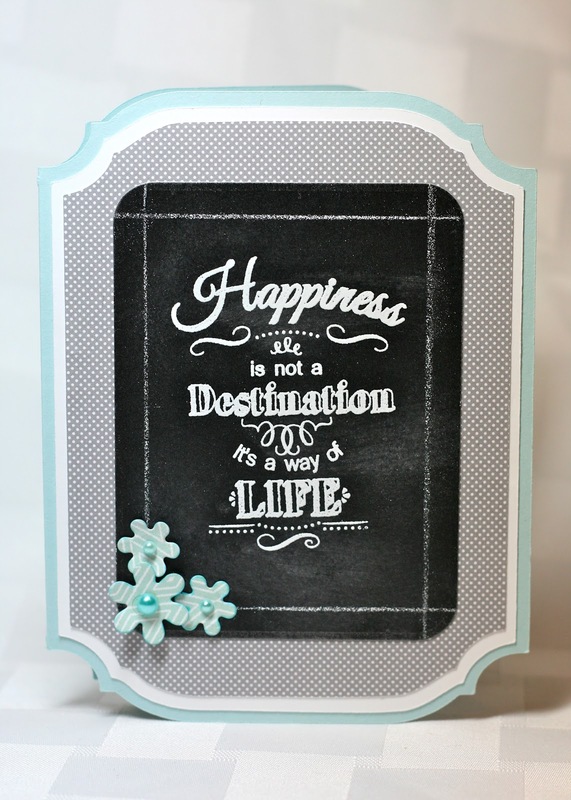 The sweet frame is perfect for framing a small die cut and stamping a sentiment . 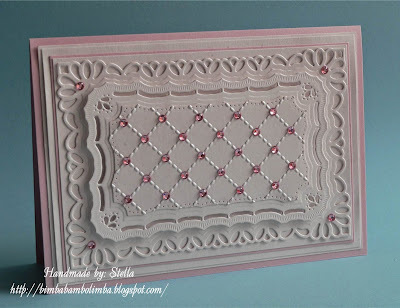 . .
and for making shaker cards. The large frame is a must have basic card element. Click HERE to purchase the Scrapping Life Bundle while supplies last! Winners From Challenge #140 - Fancy Edges! We enjoyed seeing all of the fancy edges on your amazing projects! Thanks for joining the fun!! Congratulations #11 - Grandma Bonnie's Place! You won the Robots stamp set! Hello my creative friends! I hope you are having a fabulous summer! Are you ready for another fun challenge?! This week's challenge: Shape Cards! 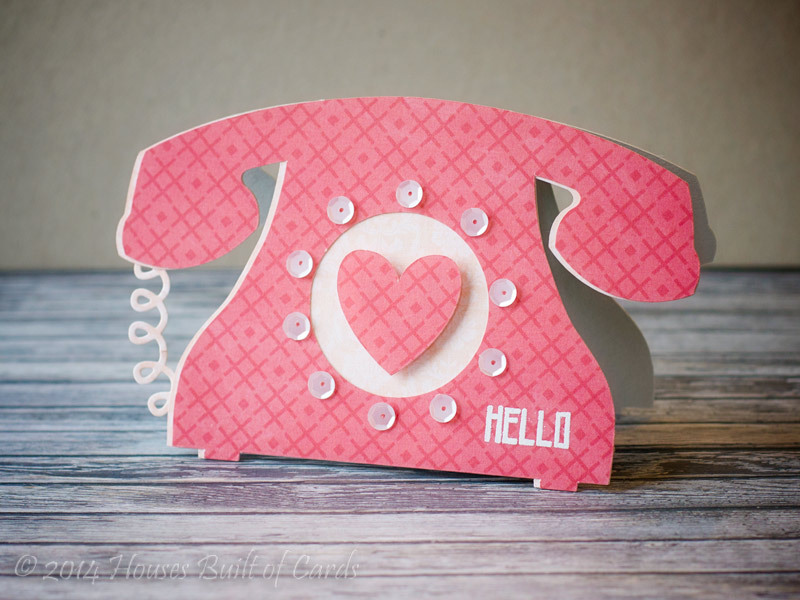 Heather made this darling phone shape card! I love how she used the sequins as part of her phone! Her curly phone cord is from the new Fancy Edges 2 metal die set. Click on any picture to go to the original post! Click HERE to enter the gallery and be inspired! 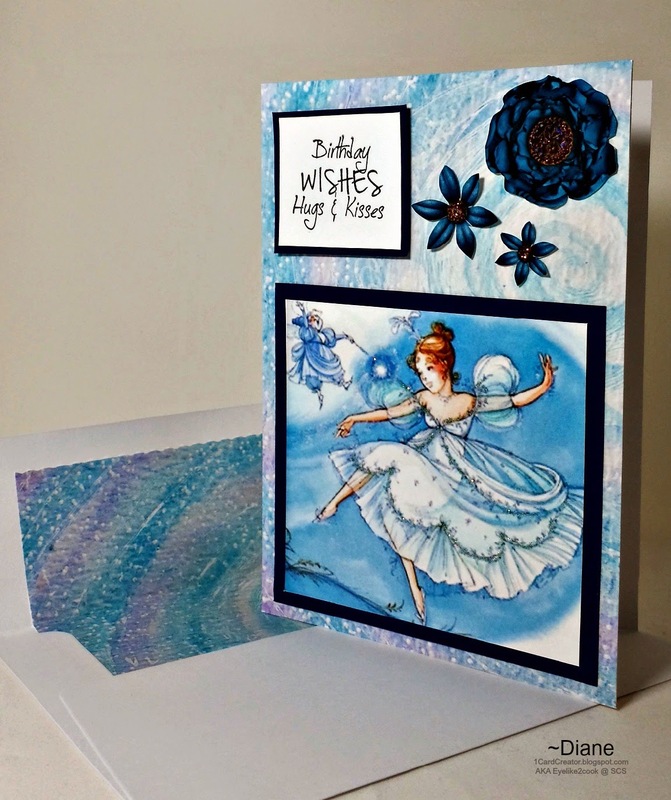 Guest Designer - Diane from 1CardCreator! 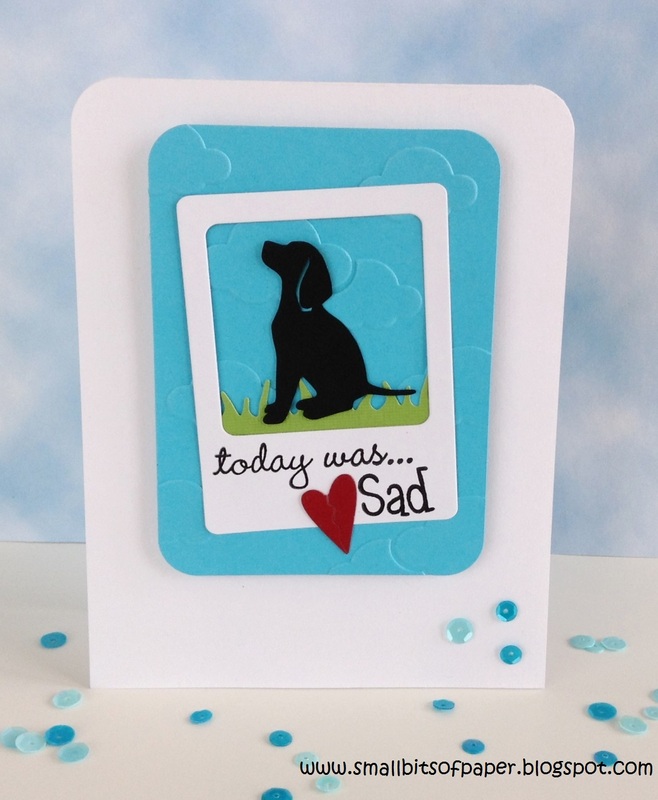 Hi All, my name is Diane AKA 1CardCreator, I write a card making blog. 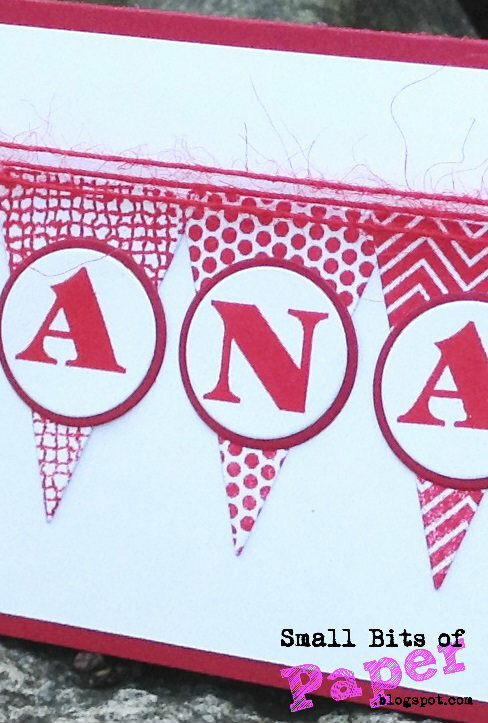 I am so excited to be the guest designer here at My Craft Spot, I love these awesome stamps, and I am honored to be with such talented designers here at their blog. 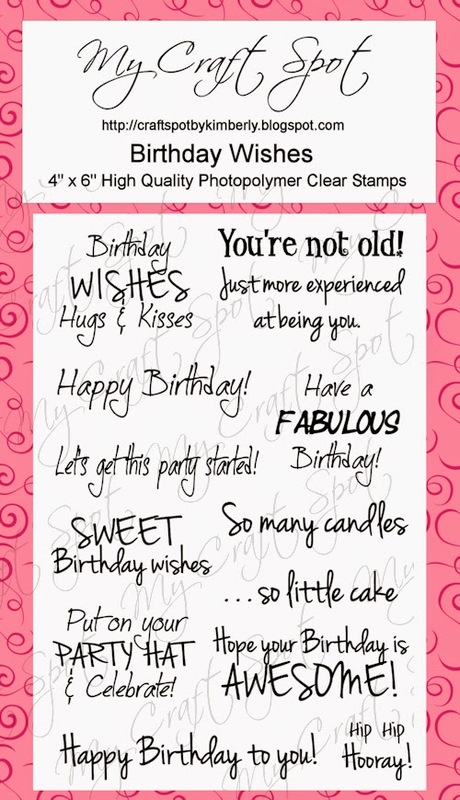 I do a lot of digital hybrid stamping and these stamps are the perfect way to add a stylish sentiment! 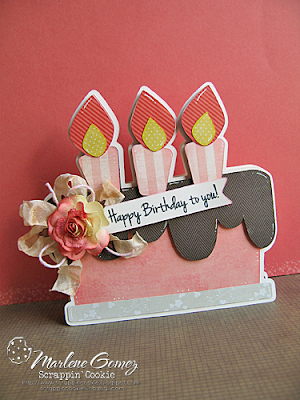 I made this 5 x 7 card using one of the 11 awesome stamps that came in the Birthday Wishes clear stamp set. I really love how these stamps are perfect for mixing with my digital printing, they take to ink really well, I used Memento tuxedo black ink, I love the clean crisp look. I printed the background paper from Gecko Galz ATC Papers In Dreams along with the image from the Ever After set on to Staples photo paper. Those life like flowers were printed from the Optic Illusions Measure of Time set that I printed then cut out. I mounted the stamped sentiment and image on some Night of Navy card stock I used a little foam pad to lift the sentiment up a bit. Then I added a little bling with some Waterfall Stickles on her dress and some Cinnamon Stickles on the flower buttons. Then I printed my envelope liner in the matching paper. 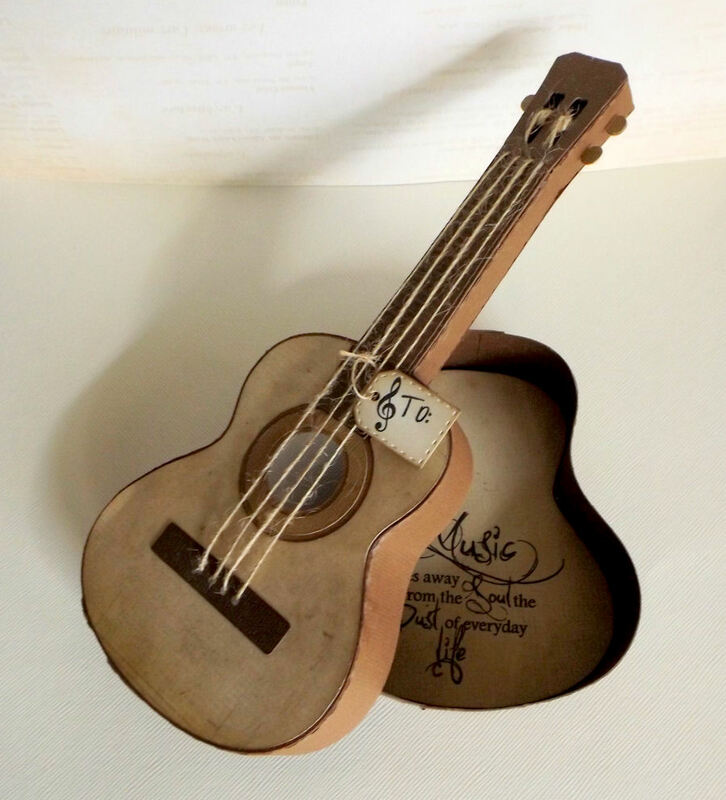 My daughter and I had so much fun making guitar boxes. 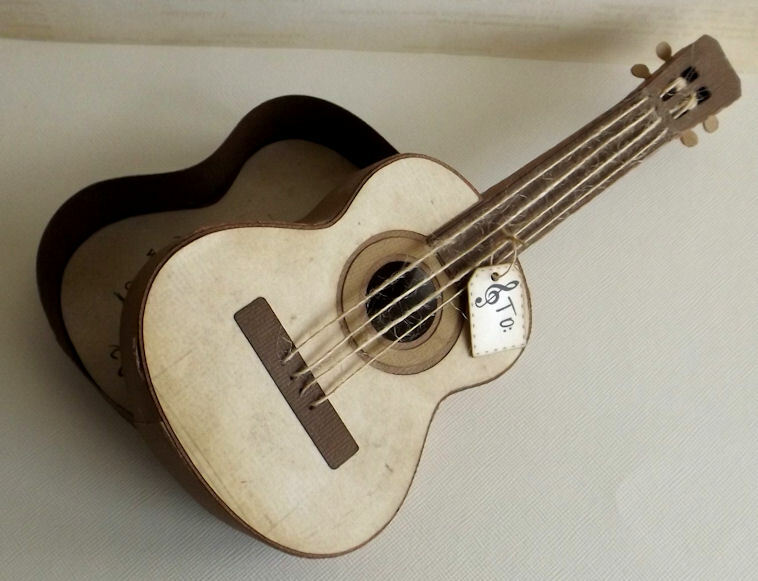 Her guitar actually turned out better than mine . . . I just haven't had a chance to snap a picture of it yet. 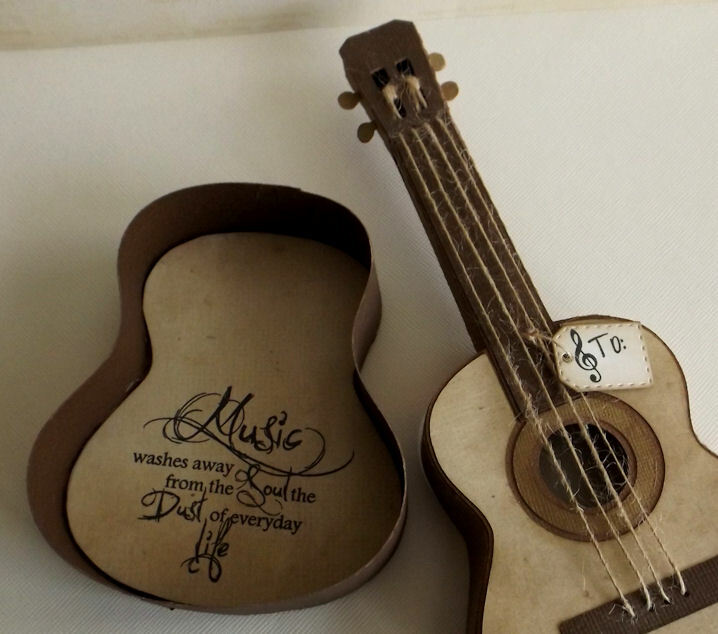 She stores her guitar picks in her box. How fun is that?! 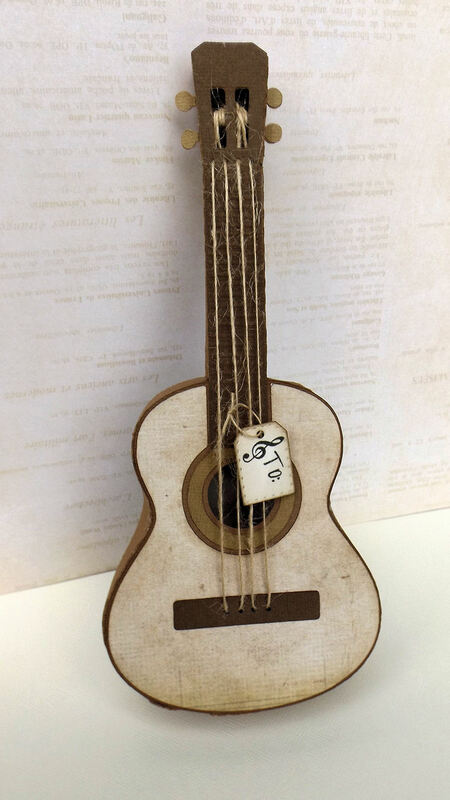 I used Natural jute twine for the guitar strings. 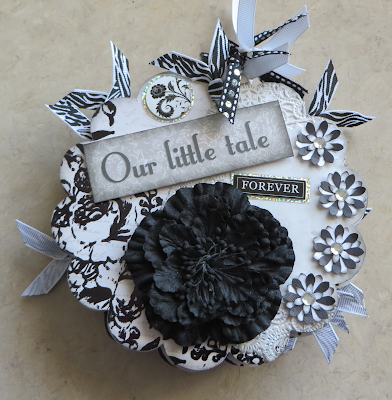 I cut this sweet tag out using the Tiny Tags metal die set. The cut file is from SVG cuts. I thought it would be fun to see this sentiment each time the box is opened. 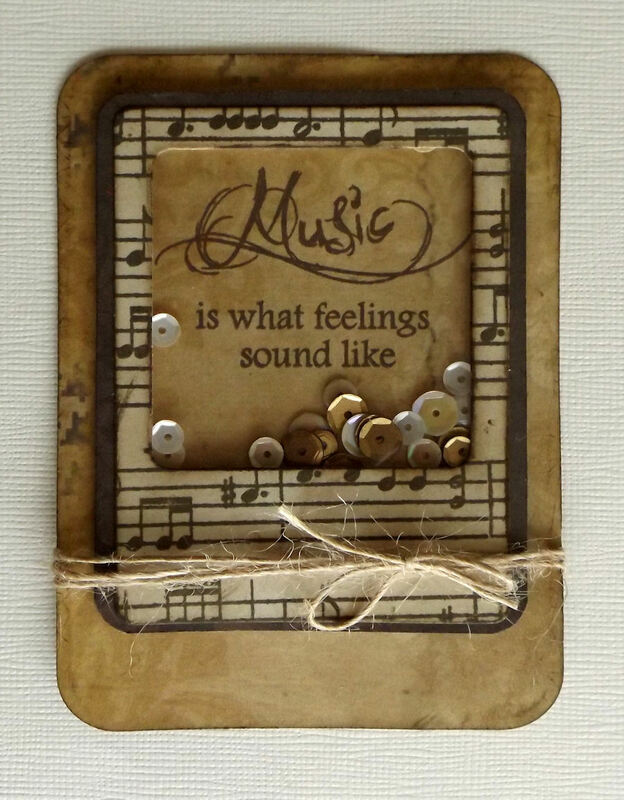 The music sentiment and Treble cleff stamp are from the new Music stamp set. Winners for Challenge #139 - Wedding! Your wedding creations were all beautiful! Thanks for joining the fun!! You won the Happily Ever After stamp set! 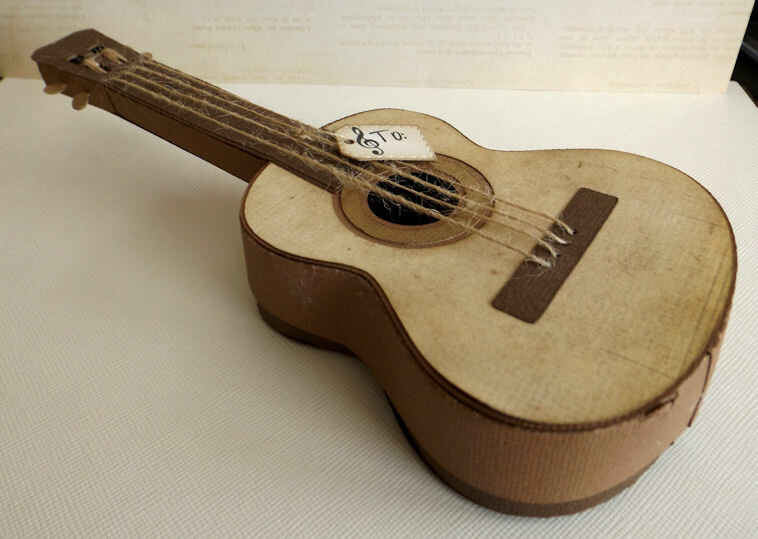 Monday Challenge #140 - Fancy Edges! 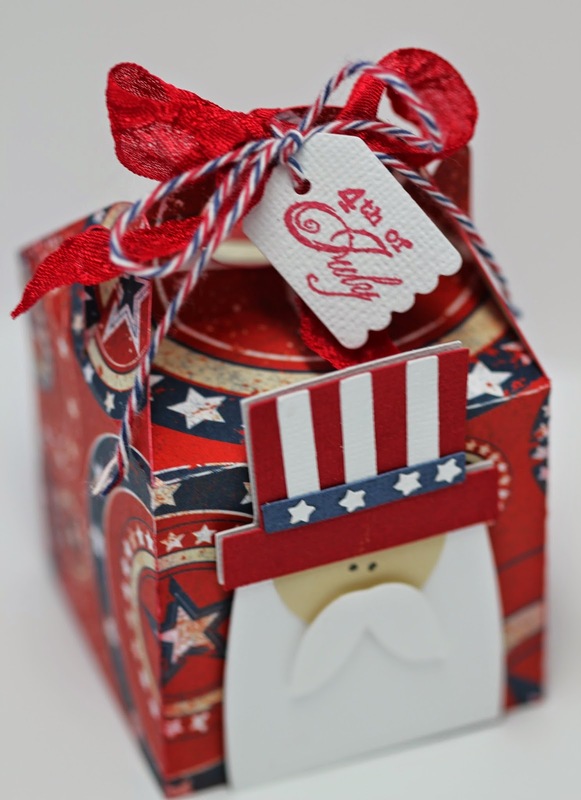 3D Lantern - Perfect for 4th of July Decor! 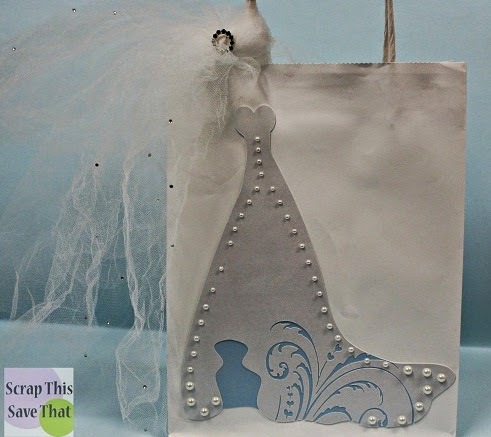 Guest Designer - Lisa (A Mermaid's Crafts)! DT Post by Heather - Look who's turning 11! DT Post by Heater - The Time You Enjoy . 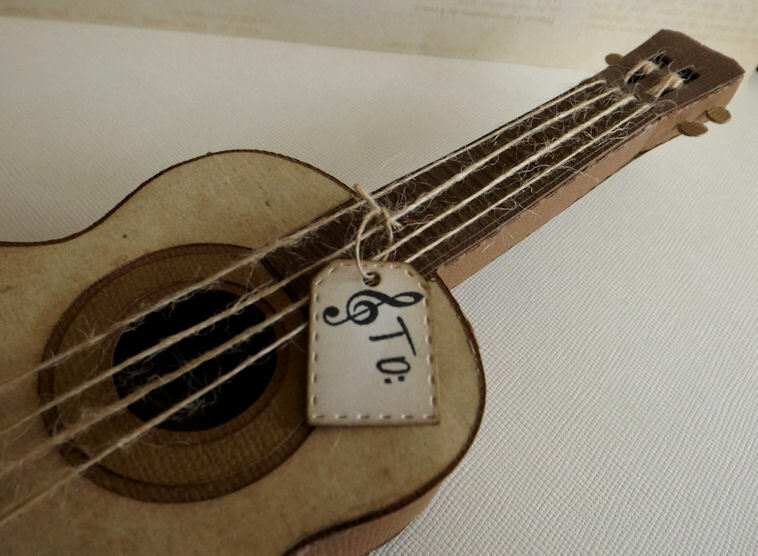 . .
DT Post by Robin - Hello Friend! Sneak Peek Day #4 - Word Quotes! Sneak Peek Day #3 - Music stamp set! Sneak Peek #2 - Robots! Sneak Peek Day #1 - Clock Time!